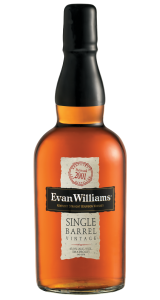 Evan Williams Single Barrel Vintage Bourbon is a five-time Whiskey of the Year award winner. Each year our master distilers Parker and Craig Beam select barrels that meet their exacting standards. 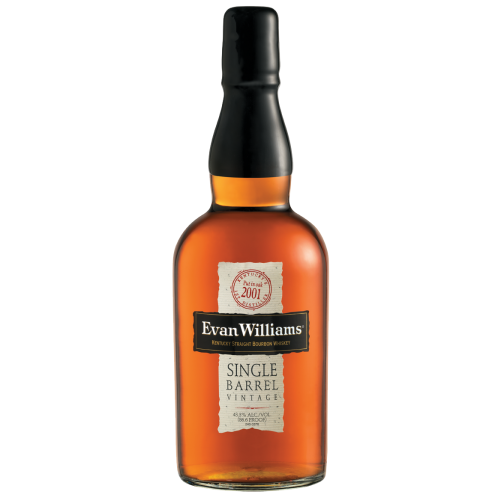 It’s a bourbon that is vintage dated, meaning each bottle is hand-written with the date it was put into oak and the date it was bottled. Nose: dark caramel, sweet oak and charred wood. Palate: lush and spicy, dried fruits, oak and honey with apple and orange notes. Finish: Long, graceful and relaxed.